Things finally seem to be moving more quickly in the garden, which is a relief. I’ve been feeling the weeks tick by with growing fear that summer will be over before I know it, with things never really getting going thanks to the cold and wind that have so far made the season disappointing. 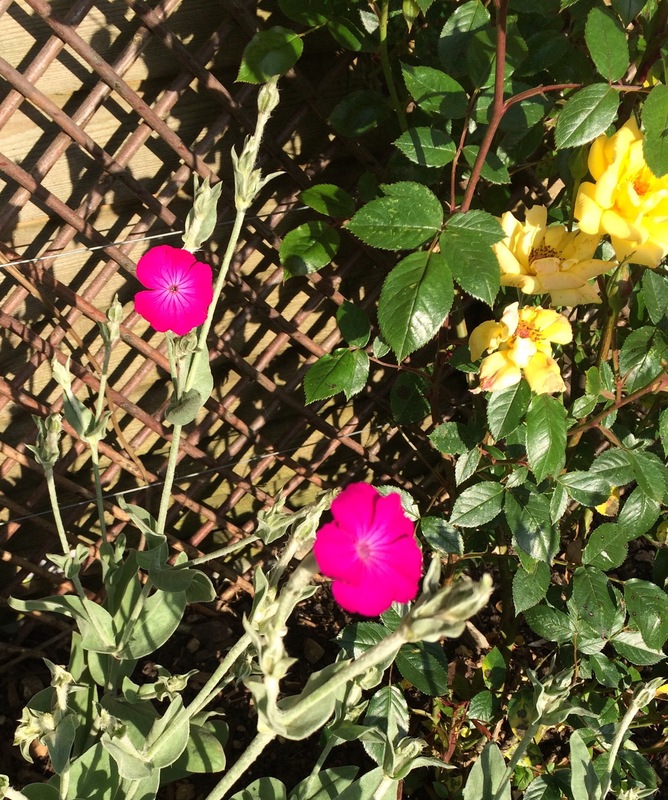 But I have renewed hope from seeing the first flowers on my Lychnis coronaria (rose campion). 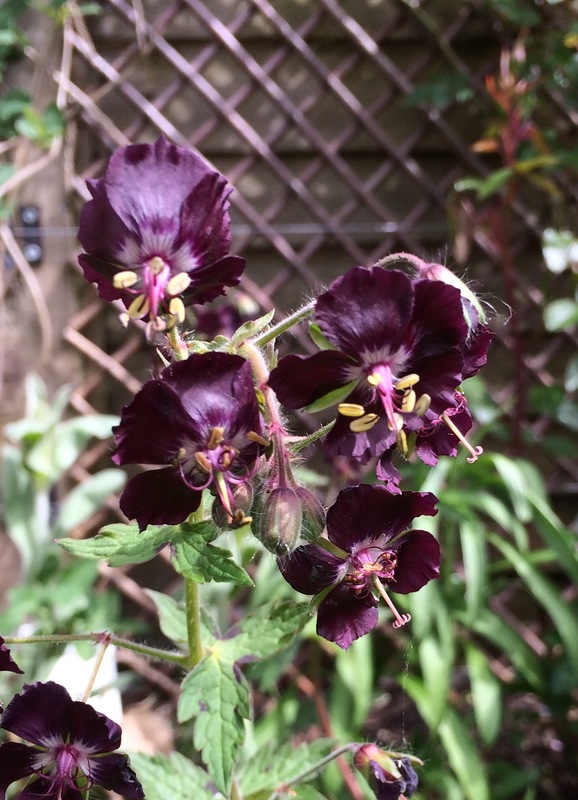 This is a perennial I bought in my first year of making this garden (2013), as a £1.50 seedling from the garden centre. It had one of those little labels with a picture and description of the potential plant, which give only a small clue as to how it’ll turn out in your particular setting and against the rest of the planting. Since then it’s become a reliable friend. 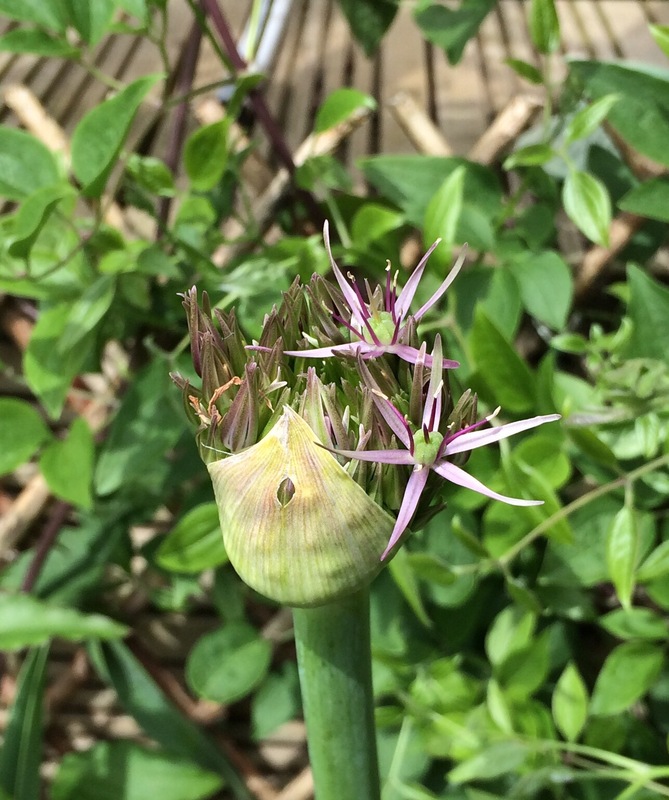 The velvety silver stems stand upright – even up here on windy ridge – and produce simple single blooms of an intense deep pink. 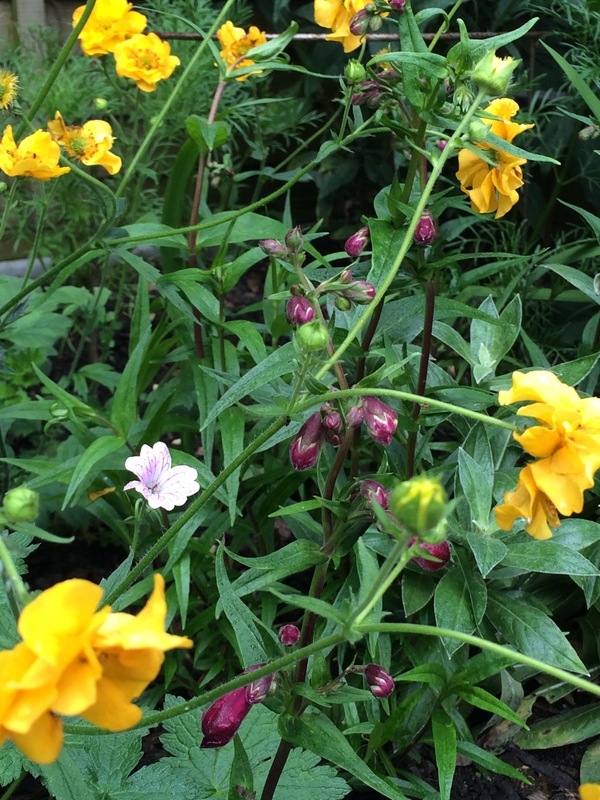 With regular deadheading and a bit of feeding it flowers and flowers throughout the summer. 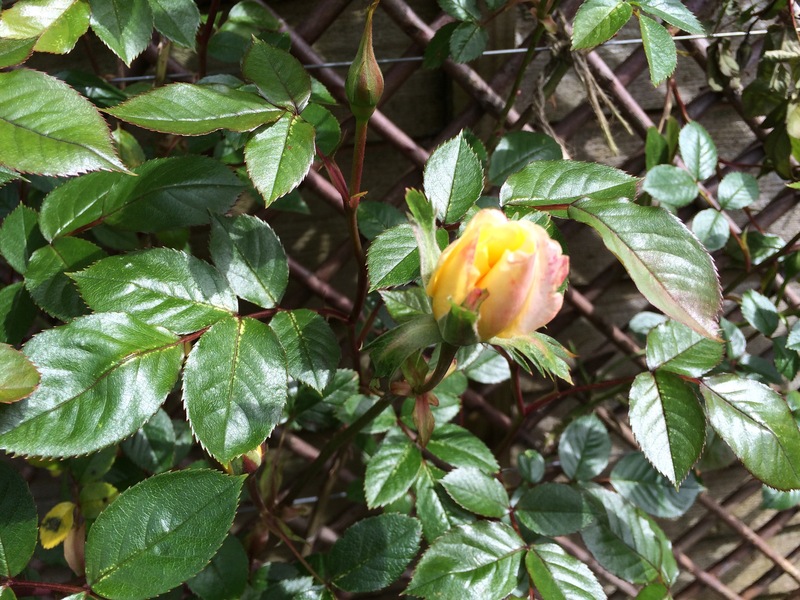 This is the third year of its life in the garden, and the third position it’s tried – right next to my yellow climbing rose. I thought this would create a strong contrast. I was right, and they seem to intensify each other by their proximity. But it’s like a homage to the 1980sin my border, and I’m not sure I like it! 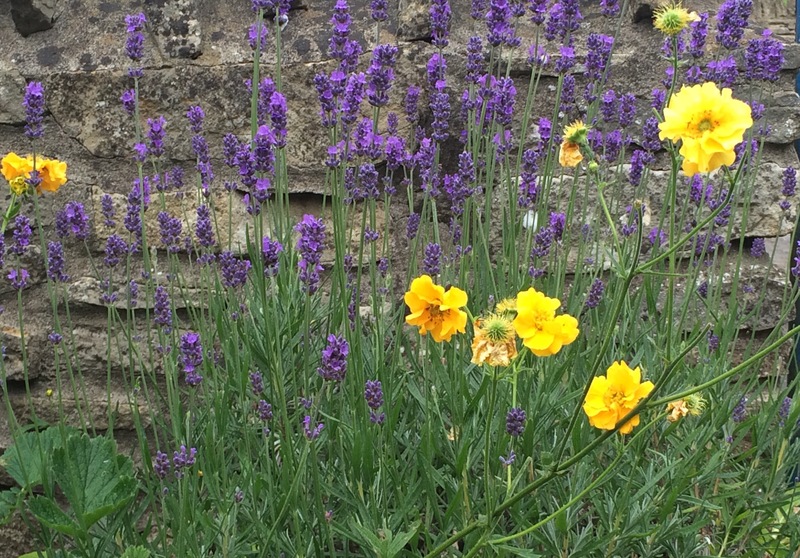 Pink and purple are neighbours on the colour wheel, yet my sunny geum and lavender make a calm and classy combination in the front garden, while the lychnis/rose parnership is eye-poppingly bonkers. 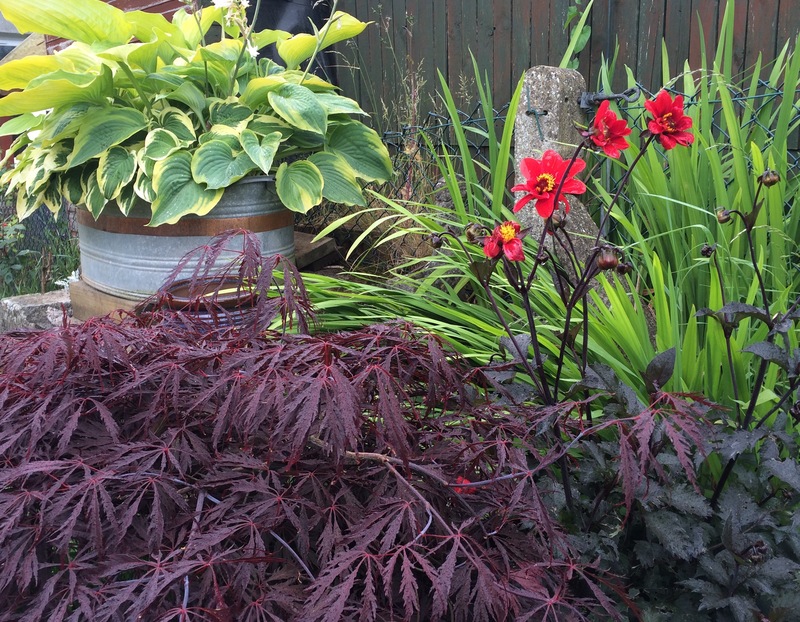 In other news, the deep red team of dahlia and japanese acer is looking great in a previously-neglected part of the front garden – especially against the crisp and cool greens of crocosmia foliage and my wonderful hostas. …which is just an excuse to tell you how bloomin’ chuffed I am that my hostas haven’t yet been munched by slugs and snails. The copper barrier around the pot, and moving it away from the mollusc bridge that is the garden fence, has worked a treat so far. So much in the garden is on the verge of going fizz bang whoosh!